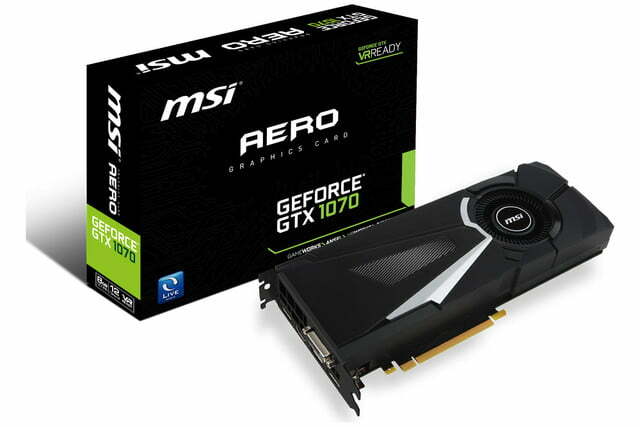 As impressive as the GTX 1080 is as a powerhouse card, the GTX 1070, with its more affordable price tag, is likely to be a much more popular graphics card this generation. 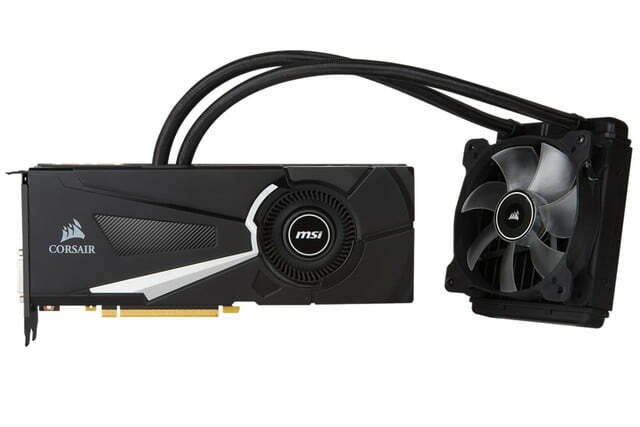 With that in mind, it’s no surprise that MSI has made many, many versions of the card, with varied cooling options and clock speeds, offering something for everyone. 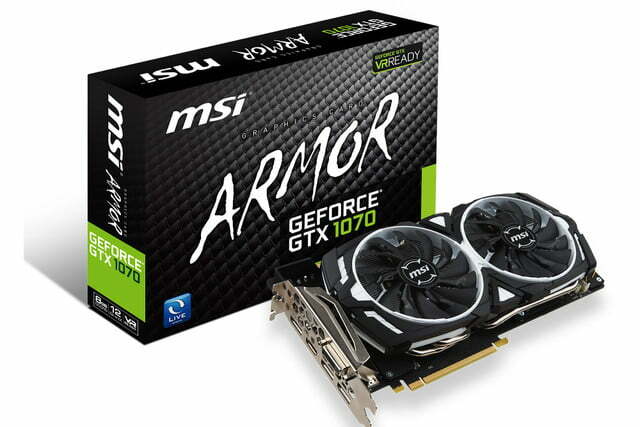 When MSI debuted its GTX 1080 lineup, there were many different versions with various coolers and clock speeds and the MSI GTX 1070 range is much the same. It starts with the Aero at the low end, moving on through the Armor and Sea Hawk versions, and topping out with the Gaming X 8G version. To begin with, the GTX 1080 Aero 8G comes with the same 8GB of GDDR5 as the other 1070s in the range, but it uses an Aero exhaust cooler, which is like traditional, single-fan blowers. Its big design difference is that it comes with LED lighting, which you’ll be able to tweak to your preferences. It will come in stock clocked and a special “OC” version, though Toms‘ coverage wasn’t specific on what that will mean for the clock speed and overall performance. The next set of cards to get their own nomenclature are the Armor cards. 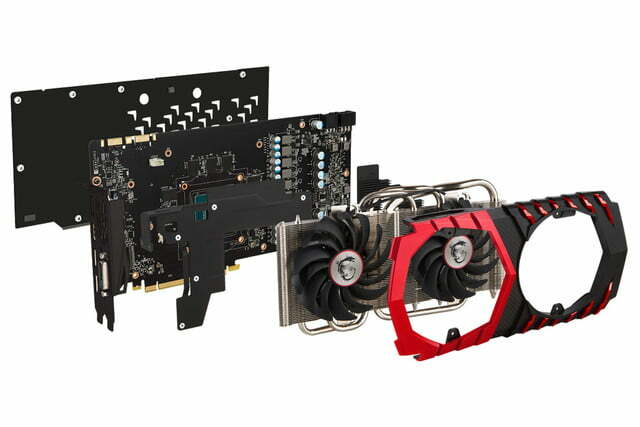 These are two cards, one stock clocked and one overclocked, and both having the Armor 2X cooler instead of the traditional blower. This cooler features a larger, more bespoke heat sink with RAM sinks and a pair of 120mm fans for added air movement and quieter overall cooling. If air isn’t your thing though, then the SeaHawk is MSI’s GTX 1070 with built-in water cooling. It features the same blower shroud as the Aero cards, though it also incorporates a water block within. That is connected up to a single, slimline 120mm radiator and fan combination featuring corsair branding. The king of the pile though is the GTX 1070 Gaming X 8G, which goes back to an air-cooled design, but features a uniquely styled and powerful cooler, TORX fans which improve airflow, and a nickel/copper baseplate for taking heat away from the memory. The biggest selling point though is that it packs the GP104-400 graphics processor on to the card. That should mean the Gaming X is a much more powerful 1070 than its brothers and sisters, though it doesn’t benefit from the added bandwidth of the GDDRX memory used on 1080 designs. Which of these is the most attractive to you?